Don’t Forget About the Pond! *Do you know if dredging is in your future? *Do you know how much time you have before your dredging project will begin? *Do you have a plan in place to deal with the cost and the logistics of such a large project? Annual Pond Maintenance to make certain that your pond is receiving care year round. Adding Aeration (fountain or aerator) if your pond does not currently have a functioning aeration system. Funds to enhance your maintenance program with fish stocking, mosquito control, holiday lighting, or other services as desired. 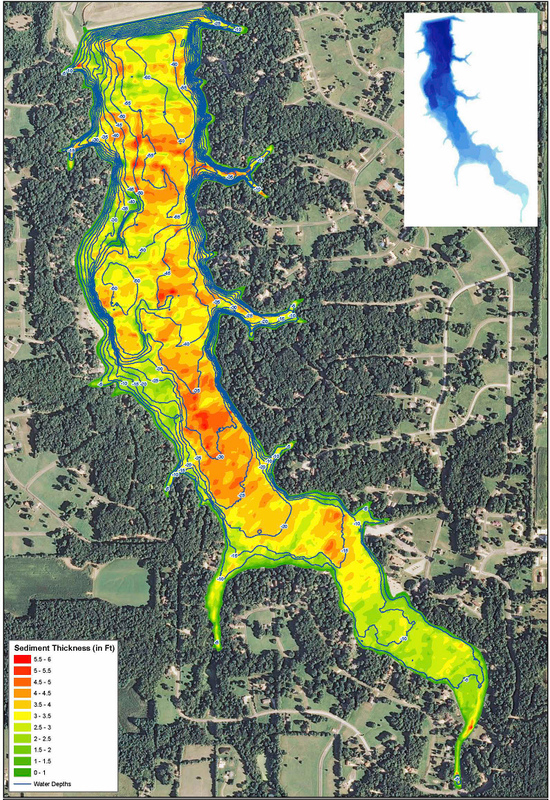 A bathymetric and sedimentation study of the pond. We recommend that this is performed at least every five (5) years in conjunction with your Reserve Study to reveal changes in the pond. An appropriate contribution to your Reserve Account for the eventual replacement of the pond’s aeration (fountain or aerator) system. An appropriate contribution to your Reserve Account for the eventual need to dredge your pond. Dredging is one of the most costly projects that a community or pond owner will incur during the life of a pond. Proper planning for a dredging project could mean cost savings. 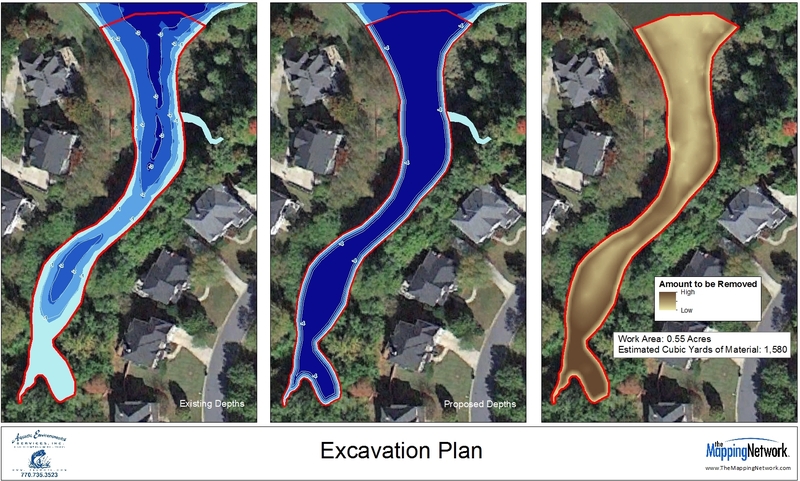 SŌLitude Lake Management recommends that you have a bathymetric study and sedimentation study periodically to make certain that the shape of your pond isn’t changing more rapidly than you are anticipating. Having the study performed on a regular basis will help to establish patterns and will assist in determining the size, magnitude and timing of dredging projects. It is important to keep as many records on your pond as possible. A history of services, plans, bathymetry and major weather events is a good tool. If you have the original “as built” plans, they can be used to help determine the rate at which the pond is “filling in”. However, a better way to determine this is a sediment survey which measures the build-up and thickness of the sediment in your pond. A sediment survey can point out patterns and masses of build-up that can allow for a more focused dredge rather than a full-scale project. 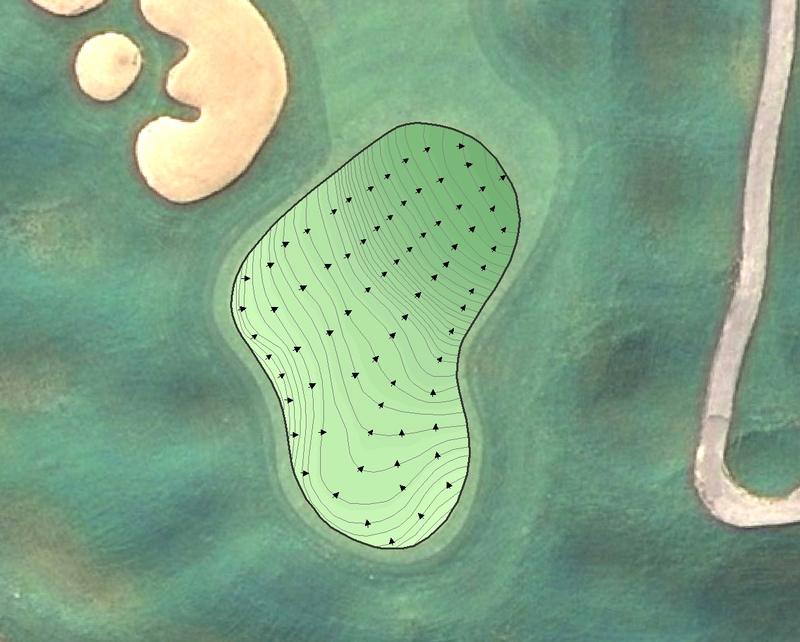 Contact us today regarding bathymetry and sediment mapping for your pond. Knowing what lies beneath the surface is important for planning the future! This entry was posted in Lake Map, Sediment and tagged aerial lake map, Aerial Map, Bathymetric Map, Bathymetry, dredge budget. dredge budgeting, dredge cost, dredge planning, Dredging, dreging, Fishing, GPS, GPS Lake, GPS Map, Habitat, hydrographic survey, hydrography, Lake dredging, Lake Management, Lake Map, Lake Mapping, Lake Survey, Sediment, Sedimentation, Solitude Lake Management, Survey, texas fishing, Texas Lake Map, Texas Map, The Mapping Network, Virginia Lake Management, Virginia Lake Map, Waterfowl on October 30, 2012 by Moderator. This entry was posted in Lake Map, Sediment and tagged aerial lake map, Aerial Map, Bathymetric Map, Bathymetry, dredge budget. dredge budgeting, dredge cost, dredge planning, Dredging, dreging, Fishing, GPS, GPS Lake, GPS Map, Habitat, hydrographic survey, hydrography, Lake dredging, Lake Management, Lake Map, Lake Mapping, Lake Survey, Sediment, Sedimentation, Solitude Lake Management, Survey, texas fishing, Texas Lake Map, Texas Map, The Mapping Network, Virginia Lake Management, Virginia Lake Map, Waterfowl on October 9, 2012 by Moderator.